There is a lovely farm stand on the side of the road on my way home. Apparently they are a rather large farm and they supply the majority of the produce at their roadside farmers market even though you only see a small acre or so strawberry patch next to the road (since only the strawberry plants are visible I thought they brought in all their other produce). I stopped for fresh strawberries at the beginning of May just as the season was starting and just yesterday I stopped for some more strawberries here at the end of the season! If only strawberries had a longer season. 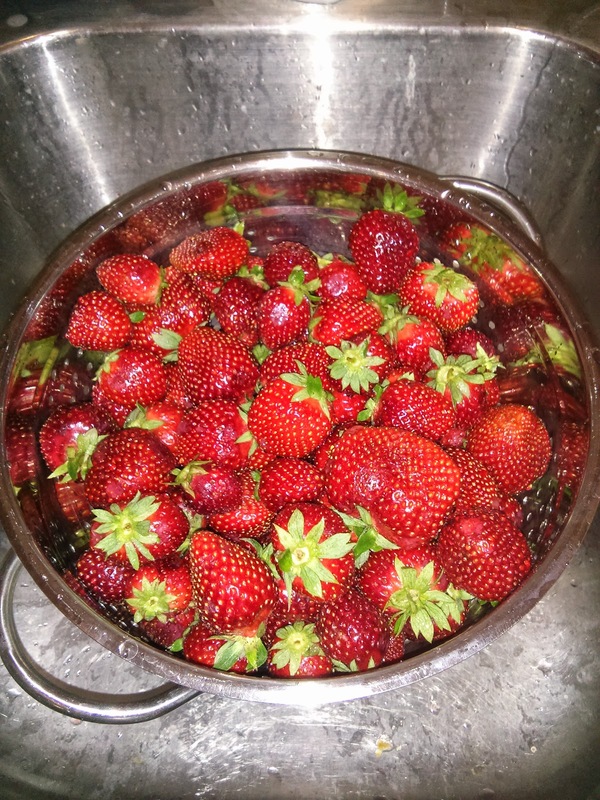 I washed up my bucket of strawberries last night and here they are! 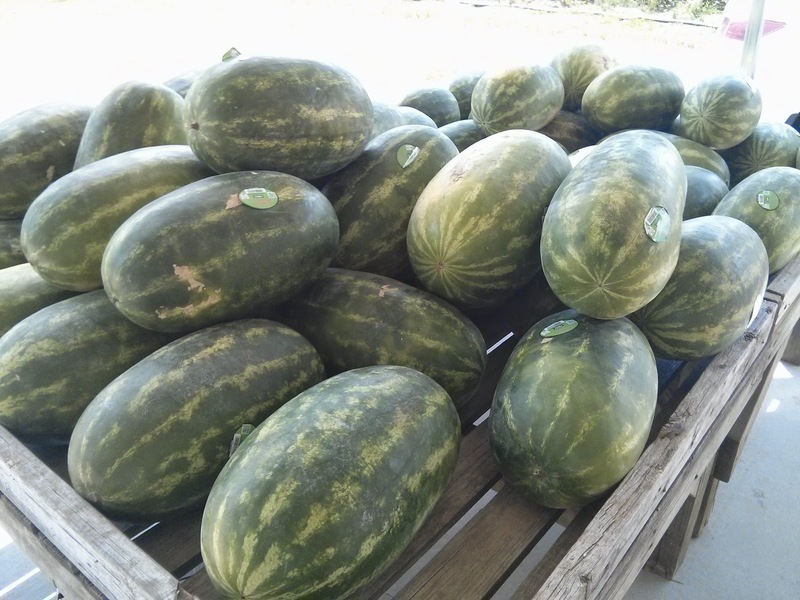 There will also be watermelon in our very near future. I couldn't pass one of these up to get summer officially started! Love strawberries and watermelon. We just had a delicious Ridgeway cantaloupe from the lake. Wonderful! !